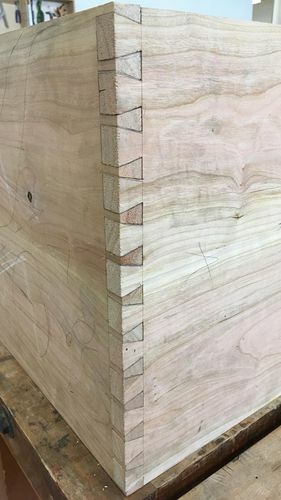 Ive been cutting dovetails on a regular basis for the past several years and I’ve tried quite a few saws (veritas, lie nielsen, assorted gents saws, japanese saws, etc.) and I don’t care much for the totes/handles on any of them. I got to use an old tyzack and it was tremendously heavy, and the tote was much more comfortable than any new saw, but my buddy refused to sell it. I was curious if anybody on here had one old saw they’d like to get rid of for a reasonable price. Im currently a student so my budget for tools is pretty much non-existent, but I have some spending money right now and I’d like to buy one good saw to use for the rest of my lifetime. Thanks. Erik may be able to help you out. Bill what saw did you cut those DTs with? If it’s one you own, give some thought to drawing out an outline of your buddies Tyzack tote, and file, sand and rasp it to a glove for just your hand. Refitting a Western saw with a new tote isn’t rocket science. 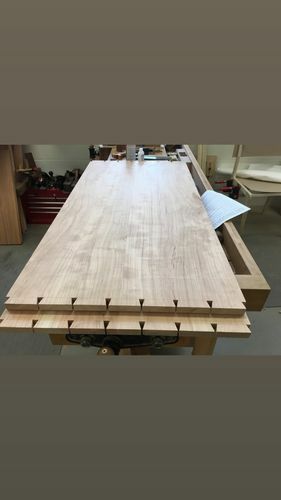 Matter of fact I about guarantee if you can cut a DT like those shown, you can make a saw tote. 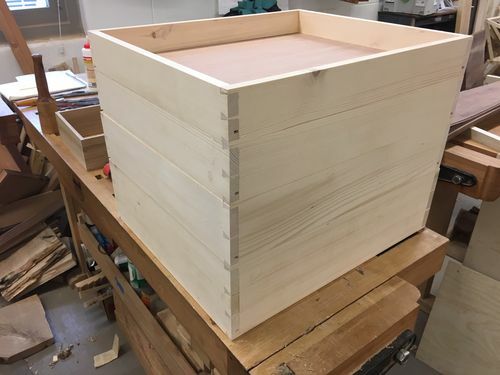 You are lucky to have found a tote you like, WITHOUT a huge outlay of cash in buying several saws online, to find you don’t like any of them. Looking at shapes isn’t feeling the right shape. Of course some of that could be weight. The Tyzak’s I know of never have much depth of cut, very shallow blades. 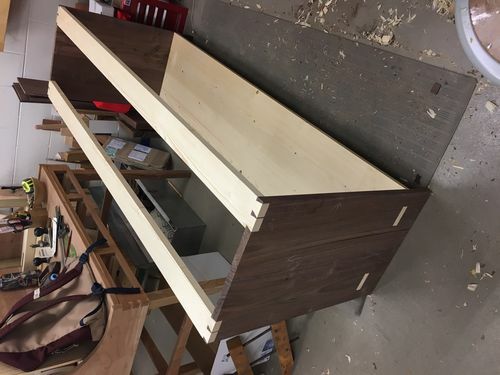 It would cost your school budget a few hours, and a chunk of some wood you want to look at for the rest of your life. Sawnuts are easy, just Google for them, all over the internet anymore. If you don’t have the bones, I’ve seen a number of people converting Gents saws to fully handled DT saws. If time or whatever is in the way, and you think buying one ready to go is the best bet, get in touch with Niles It was through his site I saw Tyzak DT saws for the first time. Possible he is sitting on a herd of them. He has had a LOT of saws. Rob Cosman’s saws are the cream of the crop. For me, my Gyokucho 372 does the job quite nicely at a fraction of the price. One just went up for sale today on wooden.net forums classified ads. $55 shipped. You can make your own handle as well.